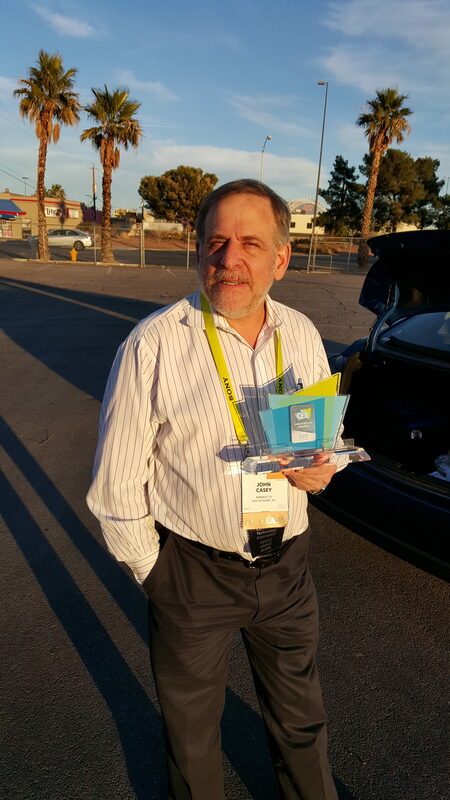 John Casey displays Airwavz CES Award for Quarterback in the category “Wireless Handset Accessories” January 2017. 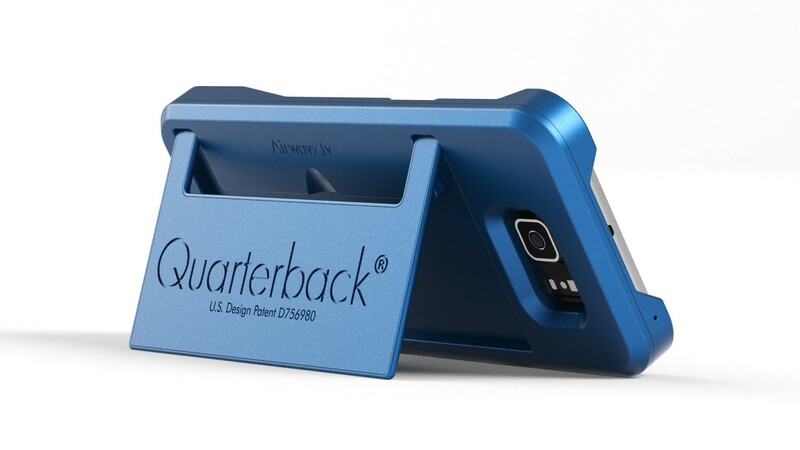 Quarterback® is an award-winning ATSC 1.0 & 3.0 television receiver for your smartphone. Invented, patented and built by Airwavz.tv™ – a Seattle based startup. Bonnie Beeman and John Casey founded Airwavz.TV in May 2015 and received a patent for the award-winning Quarterback in 2016. The team is now preparing to launch RedZone Receiver™ – an Enterprise television receiver aimed at helping broadcast TV Owners and Operators roll out the new ATSC 3.0 TV standard nationwide. The idea for Quarterback was incubated during Bonnie’s studies at MIT between 2012 – 2014 when three natural disasters hit Cambridge and took out mobile phone service: 1) Hurricane Sandy, 2) Winter Storm Nemo and 3) the Boston Marathon Bombings. Ms. Beeman set out to design and create a resilient, scalable, and affordable broadcast TV receiver for smartphones that was independent of wireless or mobile infrastructure. Founded on the east-side of Seattle Washington, Airwavz.TV™ is the first and only company to design and patent Quarterback® that enables anyone with a smartphone to receive live television broadcast programming straight from TV towers – even if there’s no cell, internet, Wi-Fi or satellite service. Backed by the founder, Airwavz.TV is poised to enable millions of NextGen TV subscribers in the United States access to the new ATSC 3.0 television all-IP network, by supplying professionals and consumers with unfettered access to highly prized television channels 2 thru 51 on portable and mobile devices.